Your Rowan ID, future Prof! Whether it’s a nutritious breakfast at the cafe, a lunch stop at Jersey Mike’s, or a dinner treat at the Rowan Boulevard Domino’s, senior criminal justice major Kelvin Torres knows that hard work in the classroom necessitates a well-balanced diet, and Rowan University provides just that. “No Prof ever goes hungry when they take advantage of the RowanCard services,” says Kelvin. Being a good friend of his, I know quite well that Kelvin never skips a meal. Each morning begins with a trip to the cafe where he finds himself eating a custom-made omelette along with a bagel, sausage, some fresh fruit and OJ. This is all purchased with a meal swipe from part of his meal plan. When there isn’t enough time to sit down and enjoy breakfast in the cafe, Kelvin makes a pit stop in ROGO, Rowan’s version of a Wawa convenience store, on the first floor of the Student Center. Here, he’ll use his Dining Dollars instead of a meal swipe, to grab a coffee and cereal bar and head out. Dining Dollars can be used for food purchases any time on campus or at select Rowan Boulevard food locations. After a morning full of classes that ends at 12:15, Kelvin is ready for lunch by 12:30 p.m., which is already the third meal block option of the day for his meal swipes. This is a crucial decision-making time due to the fact that there are endless options for lunch-time meals. Jersey Mike’s or Grill Nation located in Prof’s Place on the first floor of the Student Center are the typical go-to spots for a Prof seeking lunch. Here, Kelvin grabs an Italian hoagie with chips and a drink for a meal swipe. Sometimes the lines are too long at Prof’s Place when Kelvin is in a rush. This leads him to eat at the food court, which is also located on the first floor of the Student Center. Whether it’s buffalo mac and cheese from Twisted Mac, a freshly tossed salad at Green Zebra or a Chipotle-like bowl from SONO, Kelvin always leaves the Student Center feeling full. 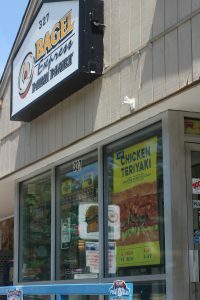 But for those times where there’s still a little bit more room, Kelvin stops at Bagel Express right past the business building to grab a snack on his way back to his apartment. This is paid for with Rowan Bucks, or “Boro Bucks” as the Profs refer to them. 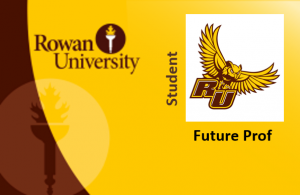 Rowan Bucks are a way for students to pre-load their RowanCard with dollars they can use just like cash, at participating food stops, stores and other locations around town. 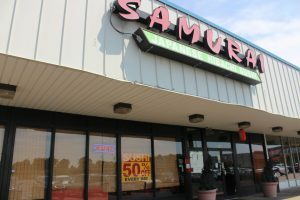 The popular place for Profs to catch 1/2 price sushi every day! Rowan Bucks are accepted at many off-campus locations. For quick necessities, Kelvin uses his card at 7-11 or CVS. When he and his friends feel like enjoying some food not on campus, Kelvin goes to Taco Bell, McDonald’s, Friendly’s, Jimmy John’s, Nick’s Pizza, Saladworks, Ry’s Bagels, Tony Luke’s and Wendy’s to name just a few. All of these locations accept RowanCard. For a full list of locations that accept RowanCard, click here. Eating out every day gets old and there are times when Kelvin wants to cook a meal back at his apartment. 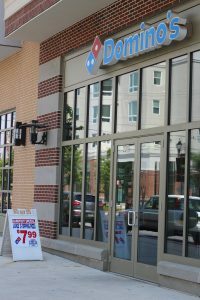 Luckily, ShopRite accepts RowanCard, too, which many students find convenient because they can stock up their rooms with readily available snacks. Dinner time has arrived and a long day calls for a big feast. Normally, Kelvin and friends indulge in a Pizza Box from Pizza Hut. This box provides food for at least four people for only 10 Rowan Bucks. When pizza isn’t on the menu for the night, Kelvin will stop at the cafe to load up his plate endlessly with a wide variety of foods that change daily. There’s always something new for dinner which many students find appealing. This dinner is claimed with a meal swipe. 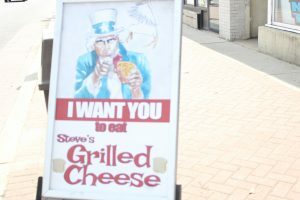 For the ultimate dinner treat, Steve’s Grilled Cheese located on High Street provides Kelvin with his favorite dinner of all time: mac and cheese bites to start with a steak grilled cheese and fried pickles to top it off. 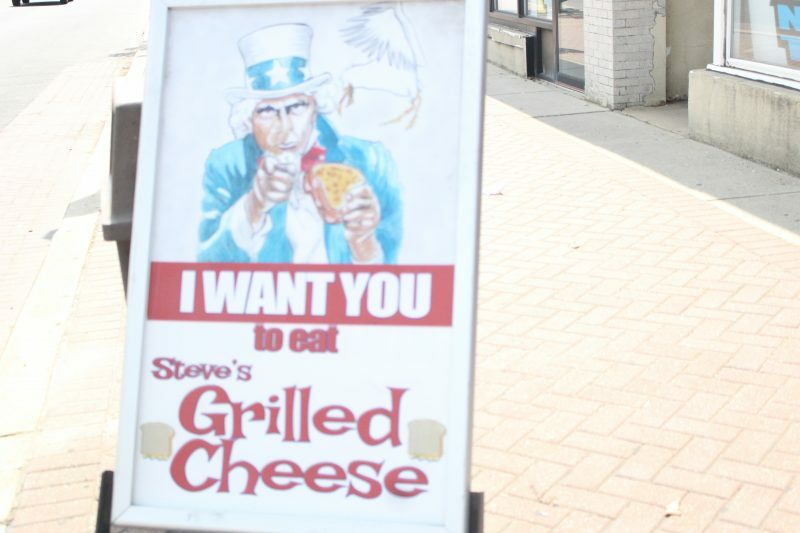 Rowan Bucks covers this meal along with the many other options Steve’s has, not to mention they deliver! In the words of Kelvin, “Don’t worry mom, I’m always eating here at Rowan.” The food options on and around campus are endless and Profs never get bored with their meals. Feeling hungry yet? For more information on Meal Plans, Dining Dollars and Rowan Bucks, click here.